The Rwanda Environment Management Authority (REMA) through Landscape Approach to Forest Restoration and Conservation (LAFREC) project is rehabilitating Mukura-Gishwati landscape; including Gishwati and Mukura forests and surrounding areas. Establishment of Gishwati and Mukura National Park (GMNP) increases the productivity and profitability of the area; while at the same time promoting livelihoods for surrounding communities. Furthermore, restoring the previously degraded Gishwati- Mukura landscape aims to enhance its both productive and environmental values. 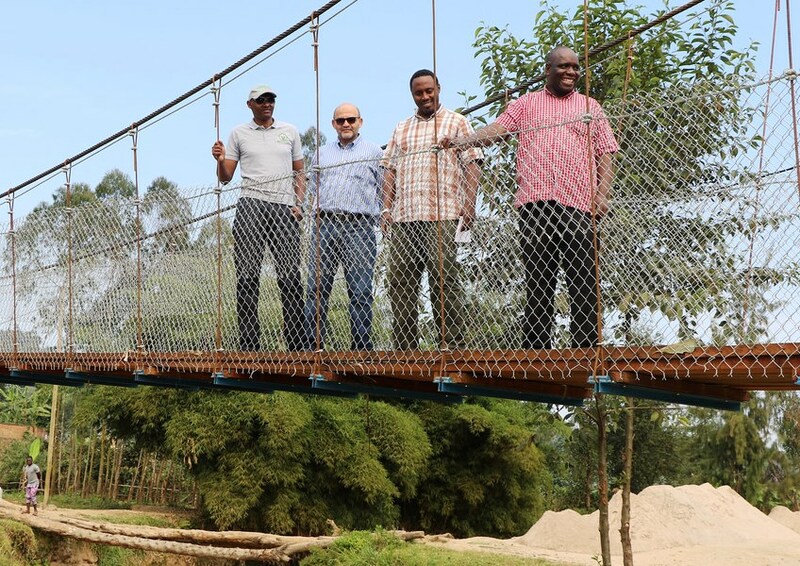 It is also part of Rwanda’s efforts to fully transform and operationalize Gishwati Mukura as a National park as made official and gazetted in February, 2016. For restoring the area, the agricultural lands are now better managed and silvo-pastoral approaches were introduced in the rangelands of the central former Gishwati Reserves. Through participatory planning, the project has developed a detailed restoration plan for the degraded habitats and through participatory micro-watershed planning with local communities; it has identified sustainable land management investments where agroforestry techniques that incorporate native species have been emphasized. As of 2018, 500 HA of tree composed by 19 indigenous species have been planted under the rehabilitation of Mukura and Gishwati Reserves and 2000 ha of tree composed by agroforestry and indigenous species have been planted in the rehabilitation of critical micro-catchment in Mukura and Gishwati Landscape. To support improved livelihoods for the surrounding communities, various sub projects were initiated and have so far benefited more than ten thousand household members including 54 percent of females who were mostly observed among the people with limited financial capacities. Beneficiaries were supported to acquire agriculture and livestock equipment to improve their agriculture productivity, and others were supported to improve pig farming, establishing honey processing plant as well as extending crop intensification programme. The project for rehabilitation of Gishwati – Mukura landscape uses a landscape approach to bring the forest ecosystems into better management and develop multiple benefits. This will be achieved through the conservation and sustainable use of biodiversity, increased forest cover, and adaptation to climate change. It also involves deployment of great efforts for combating land degradation and providing livelihood alternatives to the impacted communities. The project is financed by the Global Environment Facility (GEF) through the World Bank.